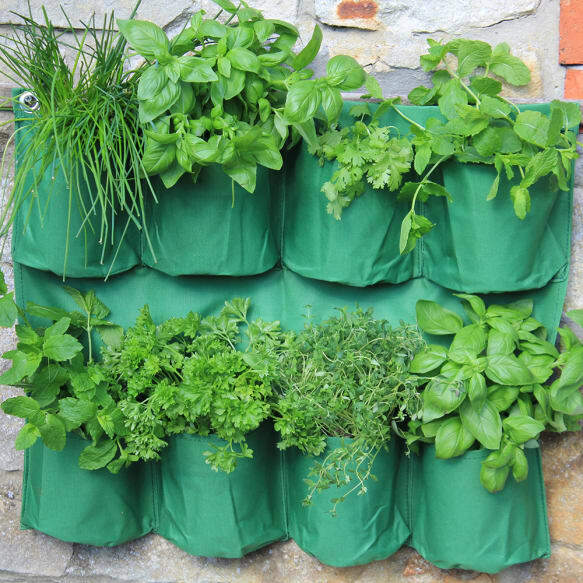 Hanging planter with 8 planting pockets, made from top quality UV-Stabilised polyester oxford fabric with reinforced eyelets and mounting hooks. 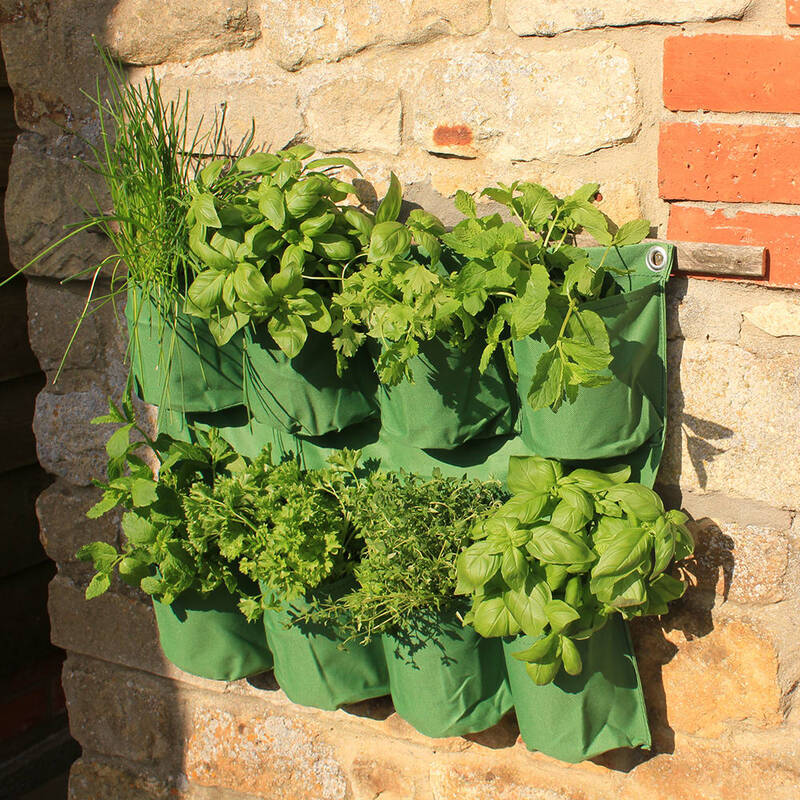 Folds down for easy storage. 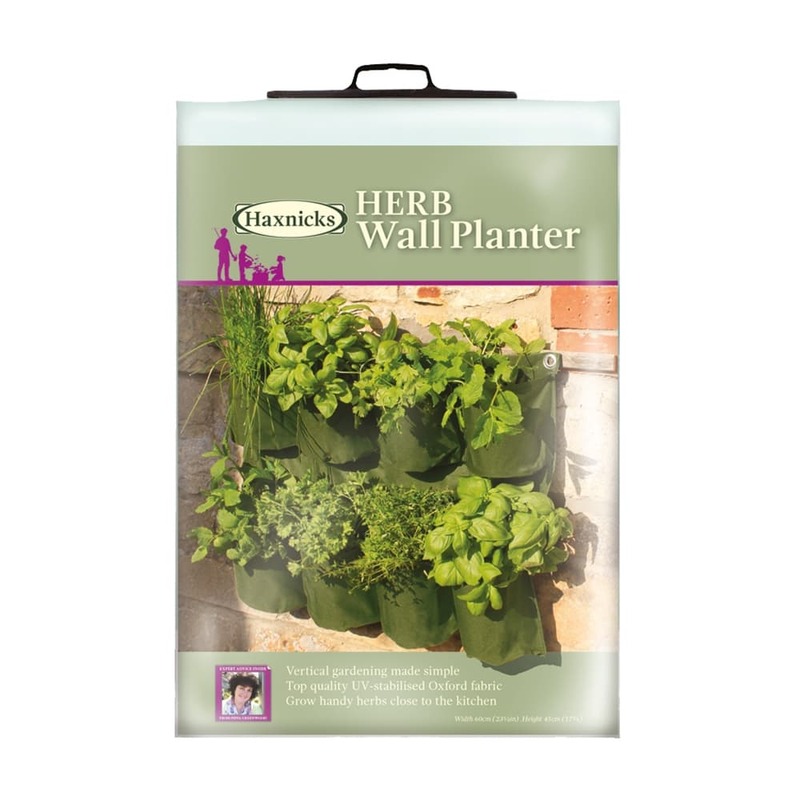 Substantially increases planting area in small gardens, roof terraces, patios and balconies. 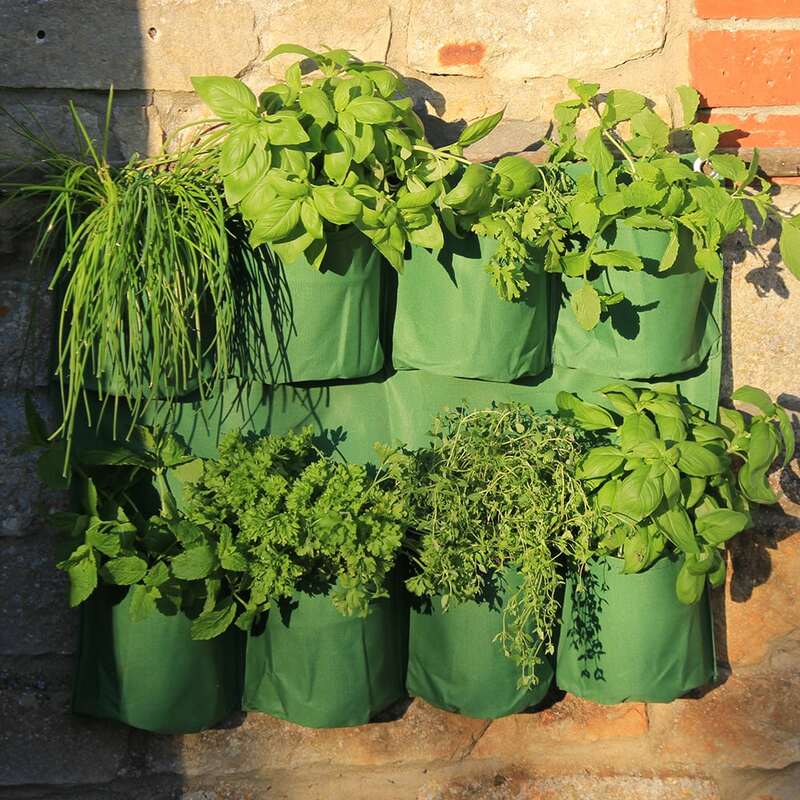 A great way to utilise limited growing space and to create a feature on bare walls and fences, or simply to grow fresh herbs within easy reach of the kitchen and out of reach of animals pets and all but the most determined slugs. 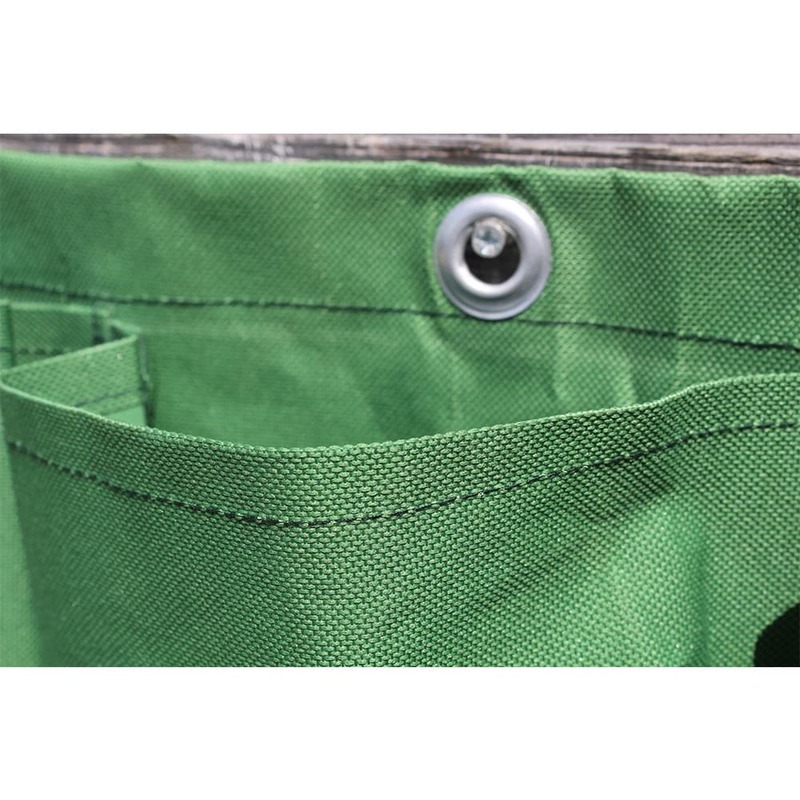 The tough oxford fabric will help to conserve moisture, and drainage holes prevent over-watering. The lightweight planter can be suspended on fences and walls using standard screws or hooks and can easily be cleaned and folded away when not in use.